The Pyrenees offer a beautiful landscape and the view from the mountains. The Pyrenees offer a beautiful landscape. Just when you come out of the bustling city of Barcelona, you will enjoy the tranquility and the panoramic view of the mountains. The southern part of the mountain range, which forms the border between Spain and France, is perfect for a day trip because of its proximity to Barcelona. 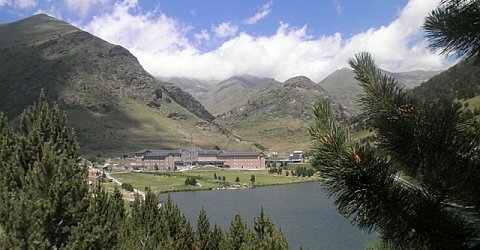 We offer two very nice excursions in one of the most beautiful valleys of the Pyrenees, the Vall de Núria. Book a trip to the alpine world in the winter! A travel bus will bring you to Ribes de Freser. 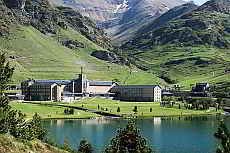 From there the rack railway Cremallera will bring you to a lovely winter land. The day trip contains a guided snowshoe hike to virgin of Núria's shrine. From the urban hustle and bustle to the quietness of the Pyrenees mountains. Discover idyllic landscapes, high peaks, lush valleys and crystal clear streams. 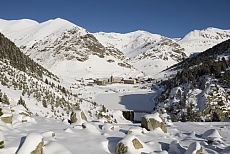 See the famous Vall de Núria and experience Catalonia and its native vigour.